Suncor Energy (TSX:SU), Canada's largest energy producer by market cap., announced Monday its majority-owned Fort Hills oil sands project in Alberta had achieved first oil over the weekend. 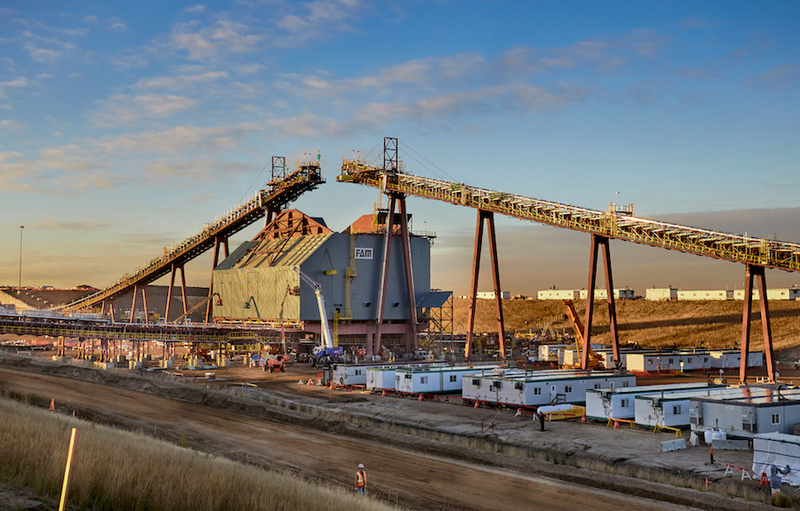 Production at Fort Hills — located 90 km north of Fort McMurray — will ramp up over the next months to reach 90% of capacity by the end of the year, said the Calgary-based company, which is also the project operator. Canada's largest diversified miner Teck Resources (TSX:TECK.A and TECK.B)(NYSE: TECK) and Total Canada also hold stakes in Fort Hills — 20.89% and 26.05% respectively. The operation is 90 km north of Fort McMurray, Alberta, and has a capacity of roughly 194,000 barrels per day. The project has already completed five test runs of the front end of the plant, producing 1.4 million barrels of froth. The output was trucked to Suncor’s base plant for further processing, Teck said. The second and third trains of secondary extraction are being insulated and are expected to start up in the first half of 2018, as planned. Once ramp-up operations are complete, the asset is expected to achieve almost full capacity or 194,000 barrels per day. At peak construction, Fort Hills employed an average of 7,900 people. Now in operation, it counts with about 1,400 employees. The start-up comes as increasing oil sands supply outpaces Canadian pipeline capacity, contributing to a deepening price discount for Canadian heavy crude compared to benchmark West Texas Intermediate (WTI).